Bill Weld took the podium after his introduction at a town hall meeting at Jacksonville University in Florida, Sept. 22, 2016, when he was the Libertarian candidate for vice president. Bill Weld is about to make headlines in New Hampshire. Here’s my prediction: When he speaks at a Politics & Eggs breakfast next Friday, the Republican-turned-Libertarian-returned-Republican will make it clear that he’s testing the waters for a GOP primary challenge against President Donald Trump. That’s certainly what friends Weld has confided in expect. Mind you, the former Massachusetts governor, now 73, didn’t say so himself when I talked with him on Thursday. But asked if he’s going to be making news with his Granite State address, Weld said yes. “It will deal comprehensively with my thoughts about the 2020 election,” he said. Although he declined to get more specific about his plans, Weld made it clear he sees Trump as a threat to some of this nation’s crucial democratic norms. Will he be anything more than an afterthought if he runs for president? 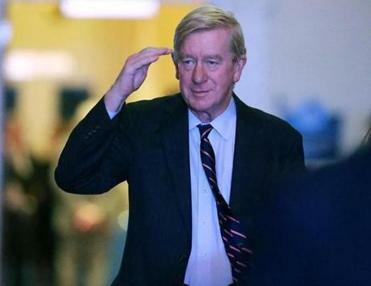 “In terms of undermining the rule of law, he has gone well past what Nixon did,” Weld said. “And I spent seven years in the Justice Department trying to keep politics out of law enforcement.” That’s a reference to the time Weld spent in the 1980s as US attorney for Massachusetts and then as head of the DOJ’s criminal division. As a young lawyer, he also worked for the House Judiciary Committee during Watergate. At this point in his career, there’s a tendency to treat Weld as a political gadfly, given his 2008 endorsement of Democrat Barack Obama and his 2016 campaign for vice president on the Libertarian Party ticket. Still, it’s a mistake to underestimate him when he puts his mind to something. The former Massachusetts governor is several things Trump is not: hyper-smart, possessed of a keen sense of history, grounded in reality, and well versed on the issues. Further, his politics are based on a coherent set of ideas and principles, and not a congeries of ill-ordered notions or biases. Witty and quick on his feet, he has an affability that made him popular across political persuasions as governor of Massachusetts from 1991 to 1997. 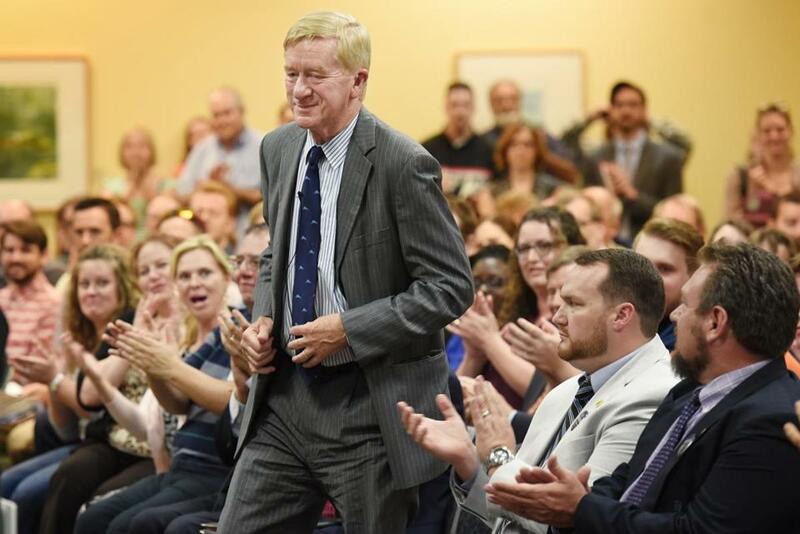 Now, the Republican Party has certainly changed since Weld’s heyday as an elected official. Weld obviously wouldn’t pull away voters who are attracted to Trump’s nativism or his nationalism or his divisive racial politics or his authoritarianism. Still, he could emerge as the favorite of alienated Republicans who have winced as Trump has abandoned time-honored tenets like free trade, free markets, and internationalism on his way to transforming the GOP into a personality cult. And in states where unenrolled voters can take a Republican primary ballot, he certainly could attract socially libertarian, fiscally moderate independents. New Hampshire is one of those states. Here’s one more thing that would make Weld a threat to Trump: He is an experienced prosecutor. As such, he is intimately familiar with the mechanics of investigations like the one special counsel Robert Mueller is leading into the Trump campaign team’s possible collusion with Russia. Certainly Trump will exploit those matters. Still, in a long campaign, the incumbent would find himself under considerable pressure to debate Weld. Such an encounter would rivet the political world – particularly if Weld cleaned the incumbent’s clock. The former Massachusetts governor is several things Trump is not: hyper-smart, possessed of a keen sense of history, grounded in reality, and well versed on the issues. So if Weld does run, resist the temptation to dismiss his candidacy as nothing but a lark. A talented and entertaining politician, he has the potential to emerge as a very pointed thorn in Donald Trump’s very thin skin.